It is Wednesday!!! Even though I am having a great week, I am so glad the weekend is right around the corner! Today was a long day, but amazing; I am learning so much in my class, but it is very draining. 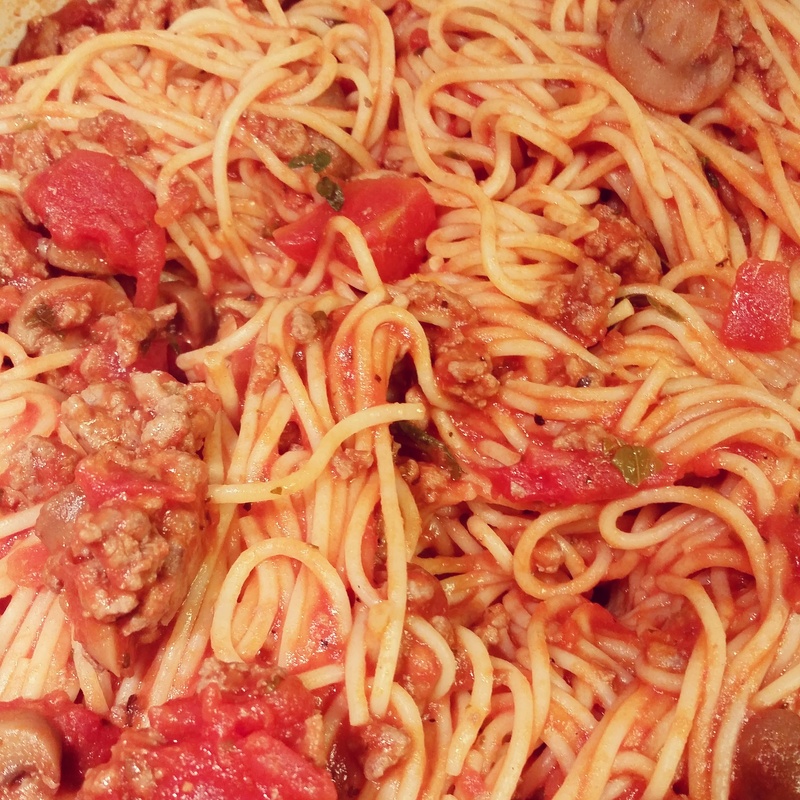 I knew I needed to come up with a fast dinner, so I took out some ground meat this morning and decided to make spaghetti. Easy spaghetti. Cheater’s Spaghetti. Normal people who are super busy spaghetti. Wednesday Spaghetti. Not your special Sunday Spaghetti. You get my drift. Dried noodles, jarred sauce, jarred mushrooms, frozen garlic bread. The only thing I did slightly homemade and special was to cook the ground meat with salt, pepper, and chopped fresh herbs from my garden (oregano and basil). I added the sauce to the meat mixture and then added the cooked pasta to the sauce before serving.